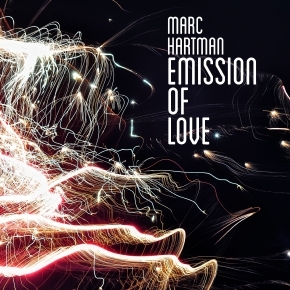 Lemongrassmusic are happy to present the new album by Dutch musician and producer Marc Hartman. He has not only used synthesizer sounds but has created a natural Chillout soundscape with a lot of real instruments and organic vibes. During a period of one year he has recorded, produced and arranged this album in his Neverland Studio in Holland. Mastered and edited on The Reaper DAW system in combination with outboard analogue Tubetech and studio gears the album has got a dynamic but still smooth character. Are you ready for a joyful journey among the many facettes of love and the endless cosmos of emotion ? Open your heart and enjoy what you will find !